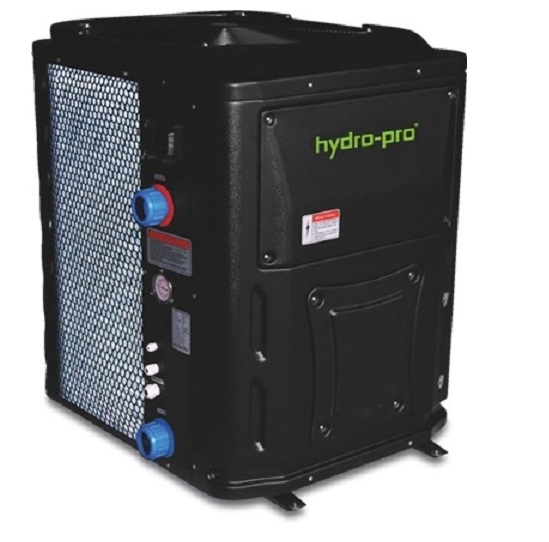 Hydro-Pro 22T Swimming pool Heat pump. Latest models R410A ozone friendly refrigerant . 415V Three phase model - Running current 6.6 amps per phase, we recommend the MCB circuit breaker controlling this circuit is a type D circuit breaker, if you are not sure contact us for help. This is the 3 phase power supply version the Hydro-Pro 22T swimming pool heat pump. This model has a maximum output of 22kw and with its energy efficiency uses only 4kw of input energy to give this heating output. This makes heat pumps the most economical way to heat swimming pools by far. All the models come with a two years manufacturer warranty and with the titanium heat exchanger, long life operation is assured.